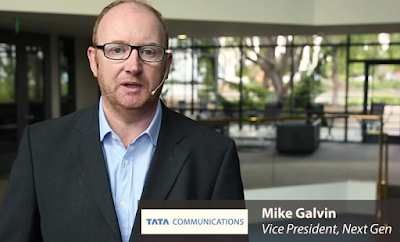 The cloud ecosystem is expanding at an astonishing pace and Tata Communications is right in the middle it, says Mike Galvin, Vice President, Next Gen.
Tata is focusing on the building blocks for hybrid clouds, including direct connectivity via MPLS or Ethernet to the major public cloud providers. The carrier is also enhancing its global IP backbone to make it fit for business with better predictability and reduced latency. This video interview also highlights Tata's new partnership with Salesforce.